Decks were cleared today for the youngest Chief Minister of the most populous state to take oath of office on Thursday (March 15). Akhilesh Yadav (38), who scripted Samajwadi party�s spectacular electoral victory in Uttar Pradesh, was today unanimously elected the leader of the SP Legislature Party. Samajwadi Party Legislature Party leader Akhilesh Yadav (C) coming out of Raj Bhawan in Lucknow. 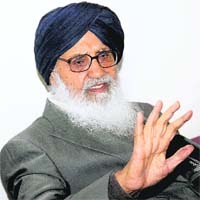 Parkash Singh Badal, who will take over next week as the Chief Minister of Punjab for a record fifth time, today lamented the lack of cooperation from the Centre. In an interview with Raj Chengappa, Editor-in-Chief of The Tribune Group of Newspapers, he claimed that he already had a blueprint for the all-round development of the state. The SAD-BJP combine made history by winning the Assembly polls beating the anti-incumbency sentiment that prevailed in the state. Now, Parkash Singh Badal is all set to be sworn in for a historic fifth term as Chief Minister. In Chandigarh, Badal spoke exclusively to Raj Chengappa, Editor-in-Chief, The Tribune Group of Newspapers, on the reasons for the victory and his plans for the state. At a time when rail and road blockades are becoming the preferred protest tool of Jats and other agitators across the country, the Supreme Court is in the process of issuing guidelines for the Central and state governments to sternly deal with the protesters. Foreign tourists are giving the beaches of Goa a miss to visit the pristine hills of Himachal Pradesh. A whopping 4.85 lakh foreign tourists visited the hill state in 2011 as against the 4.6 lakh that visited Goa in the same time period. Foreign tourist arrivals (FTAs) to the hill state grew by 32,000 in 2011. OPINIONS: are women safe anywhere? 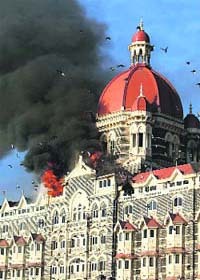 A Pakistani judicial panel will travel to India and interview key officials during March 17-20 as part of the probe into the 2008 Mumbai terror attacks, prosecutors said today. The Pakistani prosecutors gave anti-terrorism court Judge Shahid Rafique details of the commission's visit to India beginning on March 14, sources told PTI. An unusual weapon specially made for the eldest son of Maharaja Dalip Singh will go under the hammer here on April 4. 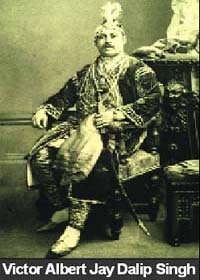 Commissioned for Prince Victor Dalip Singh when he was all of 15, the .12 bore hammer gun was made by J. Purdey and Sons. Bonhams auctioneers have put its price between �2000 and �3,000.